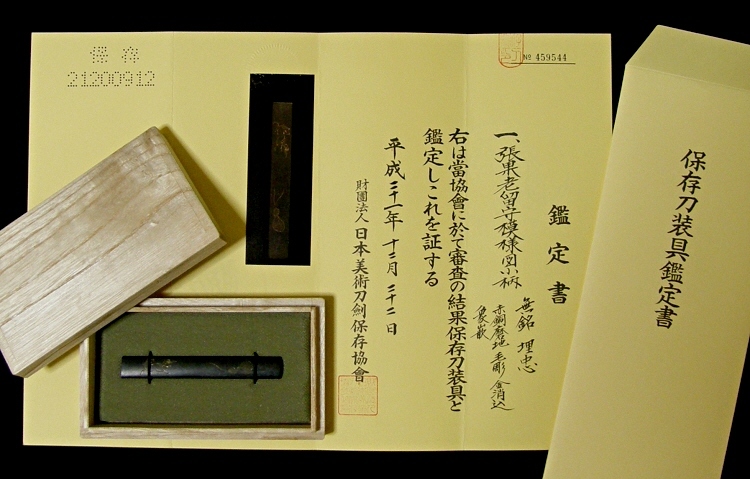 There is a certificate (Kanteisho) issued by Nihon Bijutsu Token Hozon Kyokai (NBTHK) on December 22 of 2009. 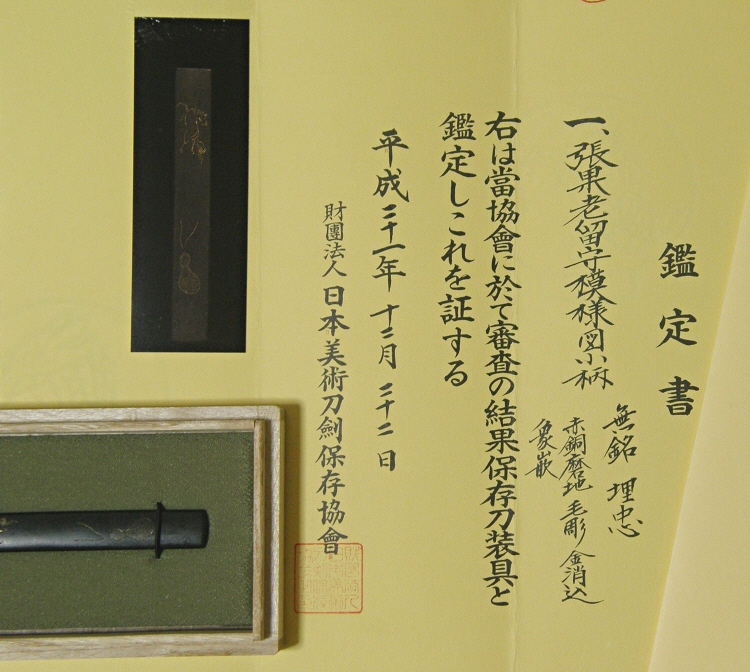 According to the Kanteisho, this Kozuka was produced by Umetada Myoju (1556 - 1631, Known as the greatest swordsmith and also sword fitting ornaments craftsman) or one of his very close disciples. 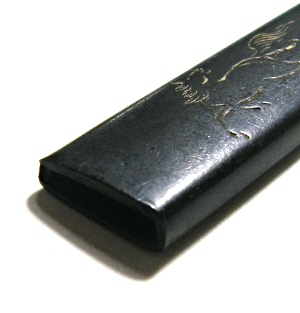 The Kozuka is made from Shakudo alloy. The surfaces are polished well (=Migaki-ji). The motif is a horse sprang out of a gourd. The scene comes from the one ancient Japanese proverb. 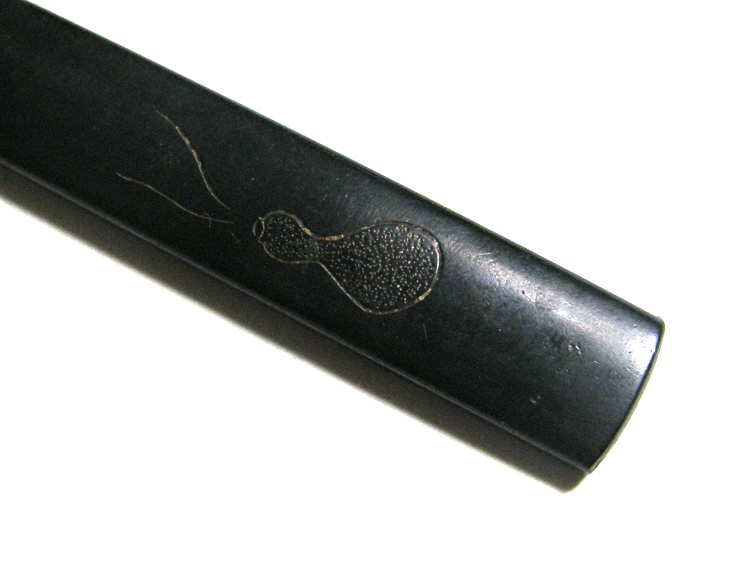 The motif is expressed in the Kebori carving method and the Zogan Keshikomi inlay with gold. 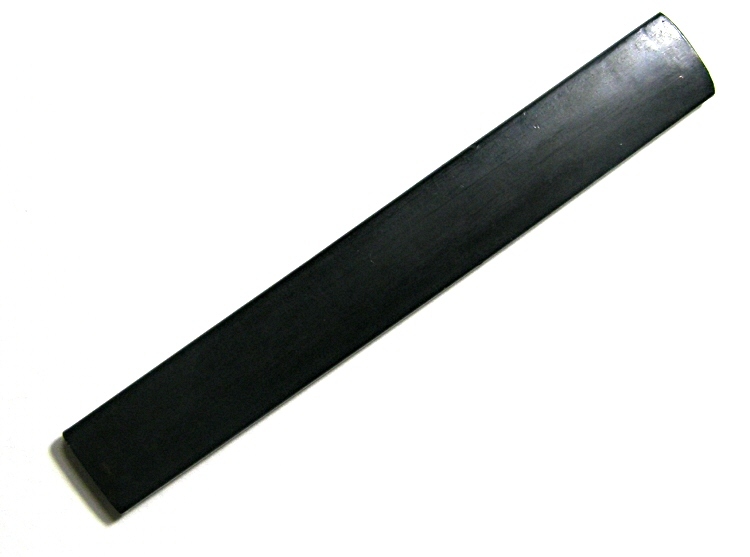 It is rare that a Kozuka is judged as an old Umetada one by NBTHK. 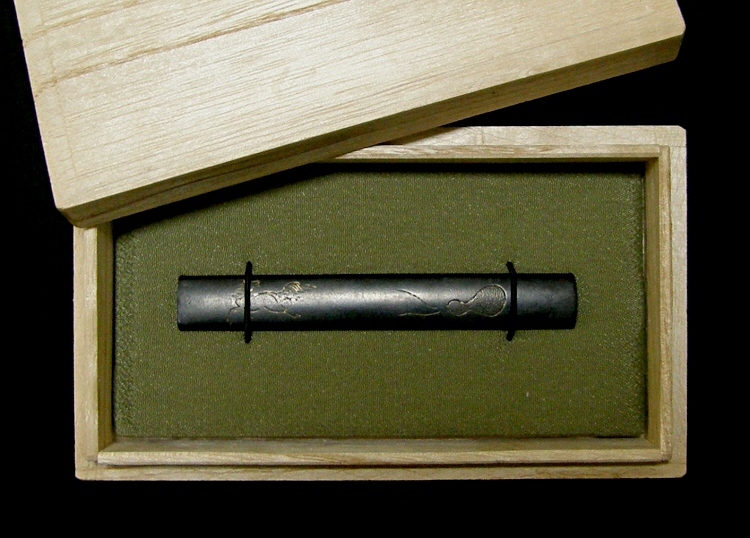 So, this is precious Kozuka. 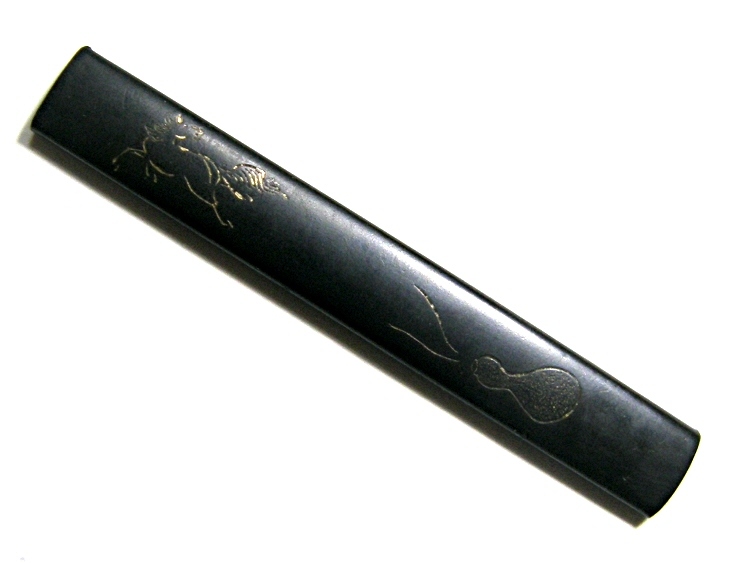 This Kozuka is made of Shakudo (alloy of copper and gold). 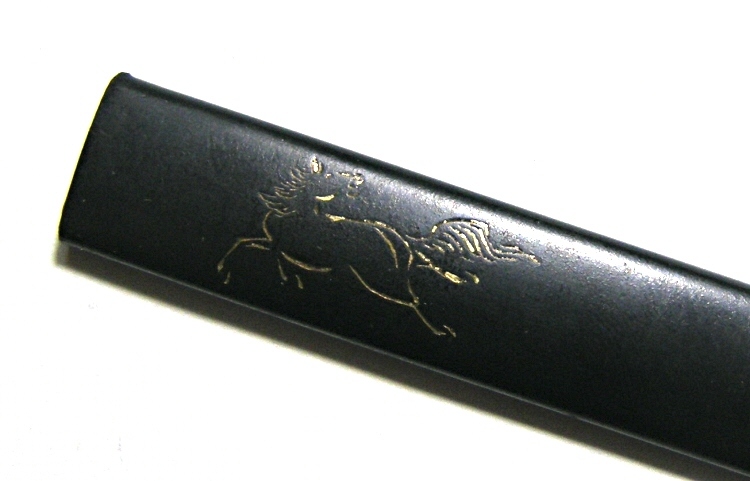 The horse and gourd are expressed in the Kin-Keshikomi Zogan inlay method with gold.